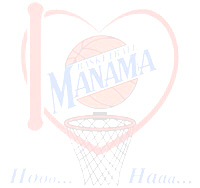 Manama Basketball fans are the best known fans in the region of GCC, they are one of the most important reasons in Manama's continuous run in winning the different championships. In many occasions the fans cheered Manama towards winning and letting the opponents' give up mentally. This was pretty obvious in both GCC Championships that Manama won in Bahrain 1994,2001. Our fans are a model for great moral, sportsmanship, and great support being civilized, well organized and the most popular and wide spread supporters in the Gulf region. Fans are the most important thing to the the club, and Manama has been always the attraction to basketball lovers, and their fans' satisfaction always comes first.